Get your message to the right people. Advertise with us and you’ll reach thousands of people who come to Franchise Business Review for franchise research on the top brands, information and best practices. Looking to strategically position your brand to candidates in 2019? FBR’s media kit can help you target the right opportunities, plan ahead around strategic deadlines, and diversify your exposure. Content marketing made easy! It can be tough to constantly pump out new blog posts to keep your content marketing strategy performing effectively – so why not let FBR do it for you? With our new sponsored content option, our editorial team will write and edit stories for your brand on an ongoing basis, optimize it for search engines, and distribute it directly to our audience. Available exclusively to award-winning brands. 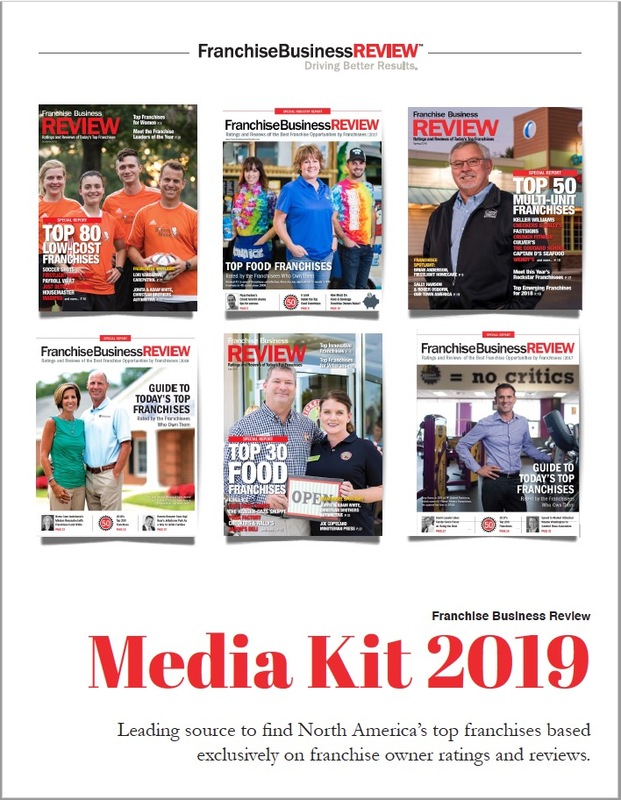 Franchise Business Review offers three types of high-visibility advertising opportunities in our annual publications and on our website. FBR offers traditional print advertising in our quarterly published guides. The guides are distributed at franchise expos throughout the year and are featured on FBR’s website for a full year. Full-page, half-page, and one-third page ads. Includes hot-link in the interactive online guide. Marketplace listing/logo upgrade: Featured listing in the marketplace section of the printed guide with your logo, short description, and URL. ONLY 4 advertisers per ad unit, per quarter. Get your brand noticed with run-of-site online ads! Available exclusively to advertisers who purchase full- or half-page print ads. Ads appear on all FBR site pages and candidate newsletters (with the exception of company/profile pages and the Franchisor tab). Choose from premium or standard box format or leaderboard or inline banner format, pending availability. Boost your content marketing efforts with a franchisee profile! We’ll publish a Q&A with one of your franchisees to showcase their satisfaction with investing in your franchise. Featured Q&A with a franchisee, in printed guide and online. Premium Profile: Featured Q&A with a franchisee, in printed guide and online, plus cover highlight. Only 2 available per report. Podcast: Franchisee (or franchisor leadership) Q&A with an FBR representative, posted online only as audio and transcript. Only 6 available per quarter. Premium Podcast: Franchisee (or franchisor leadership) Q&A with an FBR representative, posted online only as audio and transcript, PLUS a one-time dedicated email to our franchise candidate list featuring the podcast and your brand. Only 2 available per quarter. Looking to Reach FBR’s Franchisor Audience? Supplier Ads Welcome!